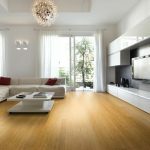 How are the different bamboo flooring colours created? 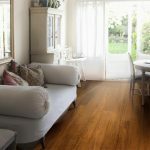 When deciding on a bamboo floor for your home or property you are more than likely to choose a colour of flooring that suits your décor and furnishings. There are a few different colours to choose from, ranging from pale tones through to dark browns. 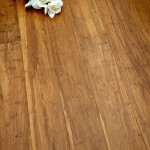 You may be interested to know how the different bamboo flooring colours are created. This entry was posted in Bamboo Floors and tagged light flooring, dark flooring, chetsnut bamboo, rustic bamboo, grey bamboo, natural bamboo, carbonised bamboo, bamboo flooring colours, bamboo colours on June 13, 2018 by chris elliott. This entry was posted in Bamboo Floors and tagged satin matt bamboo, matt lacquer bamboo, matt bamboo, pre-finished bamboo flooring, bamboo flooring finish, distressed bamboo on June 6, 2018 by chris elliott. 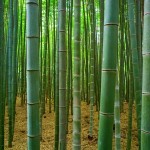 There are different types of bamboo flooring that are manufactured in slightly different ways. 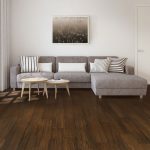 They are all made using the same type of bamboo, but our strand woven flooring has been designed and manufactured to give it additional strength and stability. This entry was posted in Bamboo Floors and tagged bamboo forest, stained bamboo, strand woven, distressed bamboo, How is bamboo flooring made, horizontal bamboo, vertical bamboo on May 29, 2018 by chris elliott. 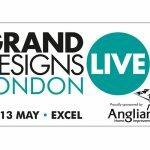 How do I measure my floor area? When you are thinking about purchasing new bamboo flooring, you will need to accurately measure your room. If you mis-calculate you run the risk of not ordering enough flooring, or having far too much. If you order too much and end up with pack of flooring left over, then you will be able to return them as long as they are unopened and have not been damaged. 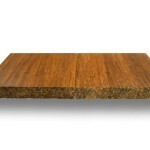 If you have ordered too little and run out of flooring, you will probably be able to order some more of the same type. This is risky though, as it could be a different batch number, which may have slightly different colour variations, or the flooring may be out of stock or even discontinued. Measure your room accurately. Never guess or assume you already know the measurements. 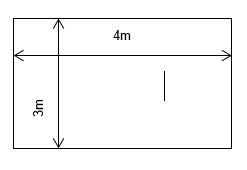 If possible, measure the area in meters. Bamboo flooring is sold in meters so it makes things much easier. Always remember to double check your calculations on a calculator. You should add on 5% to your floor area for wastage. If you are using parquet block bamboo flooring then we would advise adding on 10% because there is always additional waste. If you are unsure about anything, please let us know as we can double check any calculations for you. 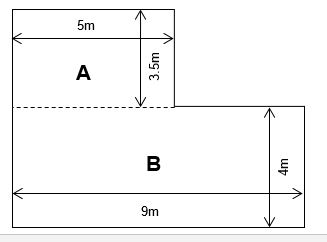 How to measure a simple shaped floor area? How to measure a more complicated shaped floor area? If you have any problems, odd shaped room, or would prefer a second opinion, you can send us a floor plan and we will calculate the floor area for you. This entry was posted in Bamboo Floors and tagged how to measure for flooring, room area, floor area, measuring flooring on April 24, 2018 by chris elliott. 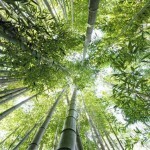 What are the different types of Bamboo Flooring? This entry was posted in Bamboo Floors and tagged tongue and groove bamboo, click fitting bamboo, bamboo parquet block, Types of bamboo flooring, strand woven bamboo, horizontal bamboo, vertical bamboo on April 18, 2018 by chris elliott.